The Metro line II (Dahisar-Charkop-BandraMankhurd corridor) has been recommended for coastal regulation zone (CRZ) clearance. 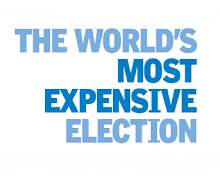 The project is likely to cost Rs.17,396 crore. The Maharashtra Coastal Zone Management Authority (MCZMA) approved the proposal subject to various conditions, including no reclamation of coastal water bodies and ensuring the free flow of tidal water. The entirely elevated corridor will go over the Dahisar river, Poisar river, Vanai river, Oshiwara river, Mithi river and Vakola nullah. In all 237 piers, 25 metres apart have been proposed for the project. Of these, 18 piers spread over 450 sq m will be in CRZ I. The 219 piers in CRZ II are entirely on the median of roads. 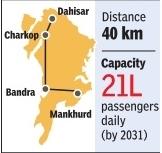 The corridor which connects north-south and east-west areas stretches 40 km and is expected to ferry 21 lakh passengers daily by 2031. According to the MMRDA, which is executing the project, the distance between Dahisar to Mankhurd will be covered in 80 minutes.